Incorporating fresh looking artificial succulents into your décor is a great way to add a cheerful look in your living space. Need to add an instant touch of beauty in your house or office? 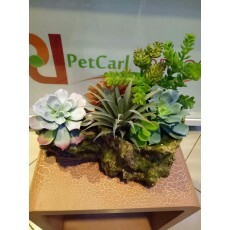 Modern artificial succulents from Petcarl-Décor could just be the best solution for you. With no watering maintenance needed, our high quality artificial succulents make a great change in your house or any other living space. They also create a focal point in every living space. Our artificial succulent plants are simply beautiful; their organic texture and color complement any interior space. What sets up apart from other sellers is the affordability of our products, given that the quality of our succulents isn’t compromised either way. We always are available 24/7, since we sell items both physically and online. The items you buy from us shall be customized to suit your needs, thus buy beautiful artificial succulents from us today.